It's pretty rare for us to struggle to finish a film. "The Divergent Series: Allegiant" unfortunately falls into this rare category. It is a film that alienates pretty much everyone - first, its fan base with a very different take from the book and the innocent watcher with a mind-numbing bad experience and uninspired output all the way through. 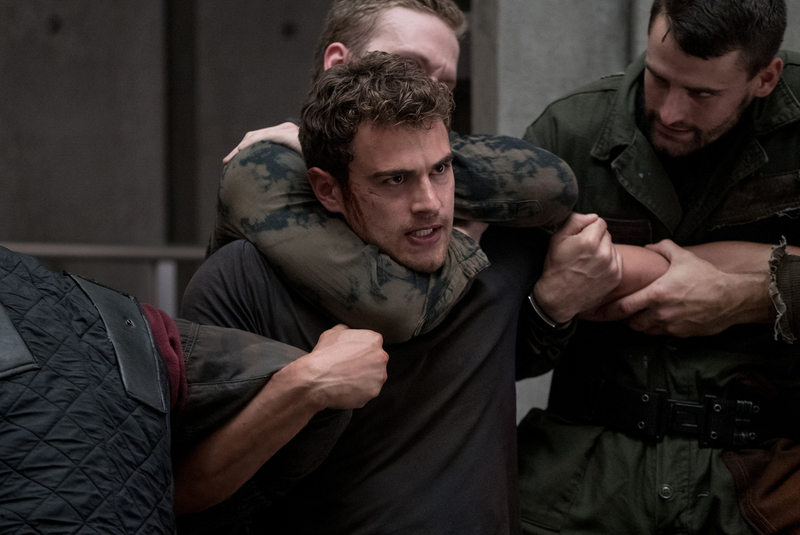 With Chicago on the verge of an all-out civil war, Tris (Shailene Woodley) leads Four (Theo James), Christina (Zoë Kravitz), Peter (Miles Teller), Tori (Maggie Q) and Caleb (Ansel Elgort) on a harrowing escape from the walled city, chased by armed guards loyal to self-appointed leader Eevelyn (Naomi Watts). Outside Chicago for the first time in their lives, the five find themselves being pursued through a toxic wasteland known as the Fringe before being rescued and escorted to the ultra-high-tech compound of the Bureau of Genetic Welfare. 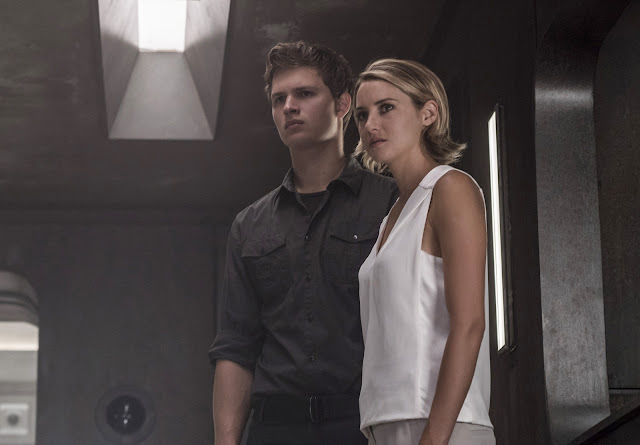 We really don't know where to start with the shortcomings of "Allegiant". Was it the heavy reliance on CGI from start to finish with a penchant for these effects to look amateurish at best? Was it the dull and wooden acting from the cast which feels like they knew how bad this film was turning out to be? Was it the story that pushes the boundaries of your sensibilities and feels like nothing has actually happened once the credit rolls? Was it the decision to extend the series to another fourth film? It probably is every single one of these things and some more. "Allegiant" is as bad as they could get with an unrewarding, cheap, and disappointing experience. 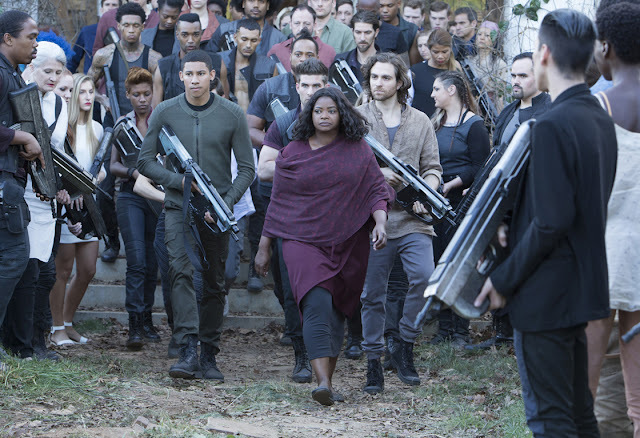 Unfortunately, it feels that this is a series that has fallen hard due to it becoming a cash grab of sorts.